Why would I need self storage in Omaha, NE? There are a variety of reasons why you might need self-storage in Omaha, NE. How much is a storage unit in Omaha, NE? The cheapest storage unit in Omaha, NE is $35.00 per month. What size storage units do you have available in Omaha, NE? In Omaha, NE we have sizes that range from 3'x5' to 12'x30' to suit your storage needs. How much is it for a 3'x5' storage unit in Omaha, NE? The cheapest 3'x5' storage unit in Omaha, NE is $39.00 per month. Omaha is the most populous city in Nebraska, with a population that's been steadily growing for the past 30 years. The city attracts a number of new residents, thanks to a thriving and diverse economy and many large corporations. Omaha is home to the headquarters of Berkshire Hathaway, the mega-conglomerate led by investing legend Warren Buffett, who also calls the city his home. Since its early beginnings as a stop on the route of the Lewis and Clark Expedition, Omaha has evolved into one of Nebraska's busiest metropolitan areas. Omaha offers a wide variety of things to do, ranging from family-friendly outings to exciting nightlife. The Henry Doorly Zoo and Aquarium is home to hundreds of exotic animals and the world's largest rain forest, desert and indoor swamp. It also features a 13-story geodesic dome, which is the biggest of its kind in the world. The Old Market is a historic section of downtown Omaha with quaint restaurants, cafes, shopping and an exciting nightlife scene. There, you can still walk down the brick-paved streets that provided passageways for horse-drawn carriages many decades ago, and there are several buildings that date to the late 1800s. Omaha's rich musical roots have resulted in a plethora of local music venues, where you can experience the city's dynamic jazz and blues scene. And although there are no professional sports teams that call Omaha home, the city is devoted to their local minor league baseball teams, and hosts the annual College World Series of Baseball. This Omaha neighborhood has a quirky history that's hinted at in its name, the first part of which is "Nebraska" spelled backward. In 1919, a local group called the Knights of Aksarben purchased the area to create a community that promoted educational, cultural and civic enrichment. Today, Aksarben Village has evolved into a modern village-style neighborhood with plenty of dining and entertainment options. Old Market is filled with entertainment, dining and shopping, and on their upper stories, many of its restored historic buildings house apartments with great character. From spring until early fall, the neighborhood hosts the weekly Omaha Farmer's Market, where you can browse locally-grown produce, baked goods, meats and crafts. Known as one of the hip corners of Omaha, Dundee is home to many young families and couples. It offers trendy local boutiques, coffee shops and restaurants, and it recently earned distinction as one of the best neighborhoods in America. This Omaha neighborhood started out as a tiny railroad town in the 1870s, and is now a flourishing and diverse family community. In the center of Papillion is Halleck Park, with over 70 acres of green spaces, walking trails, sport courts and a large lake for fishing. Omaha Public Schools manages most of the public schools, oversees elementary through high school programs in the city and also has technical high schools and alternative learning programs. You can also choose from several award-winning private schools in Omaha, including both faith-based and secular options. 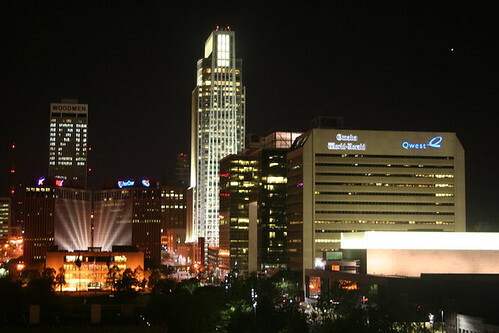 The city is home to several different colleges and universities, with the University of Nebraska Omaha being one of the largest. There are also a handful of top-ranked medical and graduate schools in the city. Utilities: The Omaha Public Power District owns and manages the electric utility. The Metropolitan Utilities district provides water and sewer services. Garbage and Recycling: The city conducts regular curbside collection of trash, and you have the option of picking up a designated can to participate in recycling. Transportation: Although the primary mode of transportation in Omaha is the single-driver car, there are hundreds of bus stops scattered throughout the city. The home market in Omaha is affordable and diverse, with a range of different types of homes for sale. Whether you want a single-family ranch, a luxury home, a condominium or a custom home, you have plenty of affordable options. The median home price in Omaha falls far below the national average, as does the cost of rent. Our lowest priced units in Omaha, NE average $41.00 per month. 198 people have reserved units in Omaha, NE in the past 30 days. There are 3 locations within Omaha, NE's city limits. There are 2 locations in Omaha, NE that offer AC and Heating features.